Manuscript and required documents should be sent using the online submission system. Human Reproduction Archives is an online only open access journal published by the Brazilian Society of Human Reproduction. This journal is the continuation of Reprodução & Climatério. 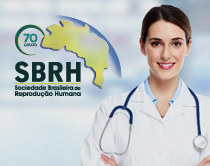 Our mission is to promote continuing medical education for members of the Brazilian Society of Human Reproduction and worldwide professionals interested in areas related to human reproduction, including gynecologists, urologists, biologists, psychologists, nurses and other health professionals. Researches in the areas of assisted reproduction, reproductive health, infertility, endometriosis, menopause, sexual and gender violence, adolescence, contraception, fetal medicine and gynecological endocrinology will be accepted in English for evaluation in the form of Research, Review, Update and Systematic Review articles, as well as Case Reports as detailed in our Section Policies. Human Reproduction Archives supports the recommendations of the International Committee of Medical Journal Editors (ICMJE) (http://www.icmje.org/recommendations/). Human Reproduction Archives accepts original manuscripts submitted in the form of original articles, reviews, update articles and case reports that follow our editorial policies and formatting guidelines. Manuscripts submitted evaluation should not be under evaluation nor submitted to another journal. Furthermore, manuscripts that have already undergone evaluation by another journal should also send the corresponding rejection letter with the submission. The journal will only consider submitted manuscripts written in English, and depending on the editorial evaluation, authors may be asked to resubmit the manuscript after it has gone through a professional English language editing service. Concepts presented in accepted and published articles are the sole responsibility of the authors, and do not necessarily reflect the opinion of the journal or its Editorial Board. Authors information, authors contribution, conflict of interest and financial support statements will be published as stated by the authors. Submitted manuscripts will be reviewed by the Editorial Board and possible evaluation results are rejection, immediate acceptance or accepted with revisions, in which case they will be returned to the authors for correction and resubmission. After the definite acceptance authors will be requested to send a letter signed by all authors stating that the manuscript has not been previously published and that they agree to transfer the copyrights to Human Reproduction Archives. 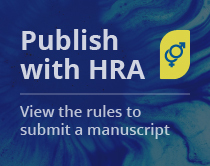 Human Reproduction Archives will only consider submitted manuscripts written in English, and depending on the editorial evaluation, authors may be asked to resubmit the manuscript after it has gone through a professional English language editing service. The Editor-in-Chief reserve the right to make language and structure edits they deem required to manuscripts under evaluation and after acceptance. Articles that have been translated into English or written by non-natives must be submitted with a certificate stating that professional translation and/or revision has been done. For convenience we list a couple of service providers that may be used by authors. Note: authors may choose other service providers as long as they provide a service certificate for the revision and/or translation. Title page, Structured Abstract, Keywords, Text (Introduction, Methods, Results, Discussion and Conclusion) and References. Title page, Abstract, Keywords, Text and References. Title page, Abstract, Keywords, Text (introduction, methods, results and discussion) and References. After the final acceptance the journal requests that an agreement and copyright transfer signed by all authors is sent stating that the manuscript is original and was not previously published. Human Reproduction Archives supports and strongly suggests that authors read and follow the manuscript preparation recommendations of the International Committee of Medical Journal Editors (ICMJE) (http://www.icmje.org/recommendations/browse/manuscript-preparation/preparing-for-submission.html). Full names of all authors without abbreviations and superscript numbers to indicate their affiliation. Institutional affiliation of the authors at the time the work was carried out. Affiliation names must be given in full and in their native language. The affiliation includes department, university, or organizational affiliation and its location, including city, state/province (if applicable), and country. Postal and email addresses of the corresponding author. Institution where the article was carried out. Financial support disclosure statements for each author. The manuscript title is the first thing readers will see and is your best chance of creating a good first impression. A good manuscript title should be short, descriptive, attractive and reflect the study's outcome. (see: Knight and Ingersoll 1996). Failure to do so might decrease the chances of your abstract being read and your manuscript cited (see: Paiva et al 2012). The abstract is your second chance of catching the reader's attention and raising the chances of your manuscript being cited. Your abstract should clearly describe the manuscript intent, strategy and the author's results and/or conclusions. Human Reproduction Archives requires (except for update articles) structured abstracts with 150 to 250 words organized in sections according to the manuscript type (see: Knight and Ingersoll 1996) and do not cite references or use abbreviations. Keywords are used by databases and search engines to index published manuscripts and help Authors find relevant works faster. To achieve that goal Authors should find keywords that describe the thematic content of the work both in respect with it's main objectives and experimental, material and techniques particularities. MeSH on Demand: an online service launched by NLM in 2014 that scans your submitted text (abstract or manuscript) and lists suggested MeSH® terms and also lists PubMed similar articles relevant to the submitted text. The MeSH Browser: this is the classic online tool that allows users to search directly for MeSH terms. Documents must be submitted in MS Word© format. Page size must be A4, with double spacing and 3 cm margins in numbered pages using 12pt Times New Roman font. If you use Microsoft Word we strongly recommend the use of version 2010 or later for Microsoft© has reported a problem with version 2007 of MS Word© which causes a random loss of spaces between some words when opening the new DOCX standard file format (http://support.microsoft.com/kb/2633585). The main text should be structured according to the manuscript type as described in our Section policies and should also follow international reporting guidelines recommendations when appropriate. The EQUATOR Network and the NLM's Research Reporting Guidelines and Initiatives are good sources for reporting guidelines as recommended by ICMJE. When editing your manuscript sections and subsections make sure you use the built-in paragraph styles of MS Word© (Heading 1/Título 1, Heading 2/Título 2 etc) to structure your text. Avoid the excess use of abbreviations and always use the spelled-out form followed by the abbreviation in parenthesis on first mention unless the abbreviation is a standard unit of measurement. Design each table each on a separate page and use the built-in table editor inside MS Word©. Do not use scanned images of tables. Do not use vertical lines add horizontal lines only below column headings. All tables must be cited in the text and should be numbered consecutively in the order of their first citation in the text. Each table must have a short but self-explanatory title. Additional information or explanations should be placed in table footnotes, not in the title. When needed use superscript symbols (*, †, ‡, §) or alphabet letters to explain information if needed. Insert graphics, pictures, schemas and illustrations on separate pages and always cite them as Figures. All Figures must be cited in the text and should be numbered consecutively in the order of their first citation in the text. They must be sent in TIFF or JPG file format with a minimum width of 2500 pixels and allow clear reading of all text and symbols used. All symbols, arrows, numbers, or letters used within figures must be clearly explained in the legend. Figures may be sent in color but they will be used as sent by the authors. The journal will not edit the figures. Authors should take special attention when preparing figures for they will not be edited by the journal. It is recommended that the authors keep a uniform use of text size and font family throughout the manuscript. Please also follow the ICMJE recommendations when preparing for submission (http://www.icmje.org/recommendations/browse/manuscript-preparation/preparing-for-submission.html#i). Figures should not be manipulated, edited or adjusted in ways that may interfere with it interpretation. We strongly suggest authors to observe and follow the tips and examples shown in "What's in a picture? The temptation of image manipulation" (Rossner and Yamada 2004, Journal of Cell Biology, 166:11). All references must be cited in the text and all citations must have a matching entry in the references list. Number the references consecutively in the order in which they are first cited in the text, tables or figure legends. Identify references by Arabic superscript numerals. Citations that only appear in tables or figure legends should be numbered in accordance with that figure or table citation in the text. References should include up to six authors followed by et al when there are more than six authors. Nahas EAP, Pontes A, Nahas Neto J, Traiman P, Luca L, Abbade J. Efeitos da atividade física e da tibolona sobre a densidade mineral óssea em mulheres na pós-menopausa. Reprod Clim. 2001;16:47-52. Geraud G, Spierings EL, Keywood C. Tolerability and safety of frovatriptan with short- and long- term use for treatment of migraine and in comparison with sumatriptan. Headache. 2002;42 Suppl 2:S93-9. Kremer J. Yardsticks for successful donor insemination [letter]. Fertil Steril 1991;55(5):1023-4. Phillips SJ, Whisnant JP. Hypertension and stroke. In: Laragh JH, Brenner BM, editors. Hypertension: pathophysiology, diagnosis and management. 2nd ed. New York: Raven Press; 1995. p. 465-78. Rice AS, Farquhar-Smith WP, Bridges D, Brooks JW. Canabinoids and pain. In: Dostorovsky JO, Carr DB, Koltzenburg M, editors. Proceedings of the 10th World Congress on Pain; 2002 Aug 17-22; San Diego, CA. Seattle (WA): IASP Press; 2003. p. 437-68. Zhao C. Development of nanoelectrospray and application to protein research and drug discovery [dissertation]. Buffalo (NY): State University of New York at Buffalo; 2005. 276 p.
Nov. 17, 2017 - Replaced email by online submission link and added paragraph about service providers in the Language policies section. Out. 10, 2017 - Added Systematic Review and meta-analysis article type and updated maximum manuscript length limits.